HMD Global has announced the release of the Nokia 5.1 Plus on Android One in Australia. The Nokia 5.1 is powered by the MediaTek Hello P60 and Android 8.0 Oreo. The smartphone features a 5.8” 18:9 HD+ edge-to-edge display. The Nokia 5.1 Plus delivers excellent gaming performance and AI imaging features, according to HMD. As for cameras, the Nokia 5.1 Plus features a dual 13MP/5MP rear sensor with electronic video stabilisation paired up with an 8-megapixel front-facing camera. The device is also Android One certified, which means it offer 3 years of monthly security updates. HMD also say it's Android Pie ready but couldn't provide a timeline for when the latest version of Google's Android operating system would come to the device. 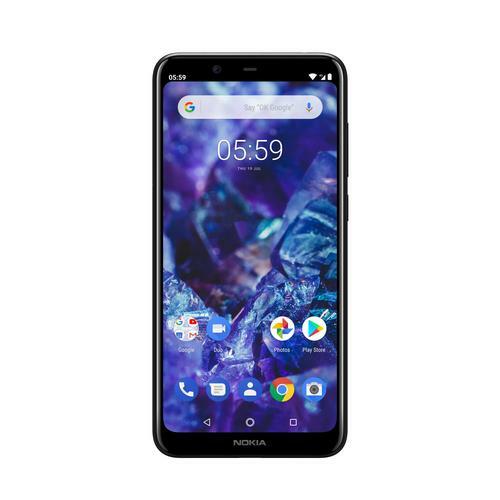 Available in Gloss Black, the Nokia 5.1 Plus will be available from Friday 2nd November for $379 from JB Hi-Fi, Harvey Norman and Officeworks. For more information, visit https://www.nokia.com/en_int/phones/nokia-5-plus.